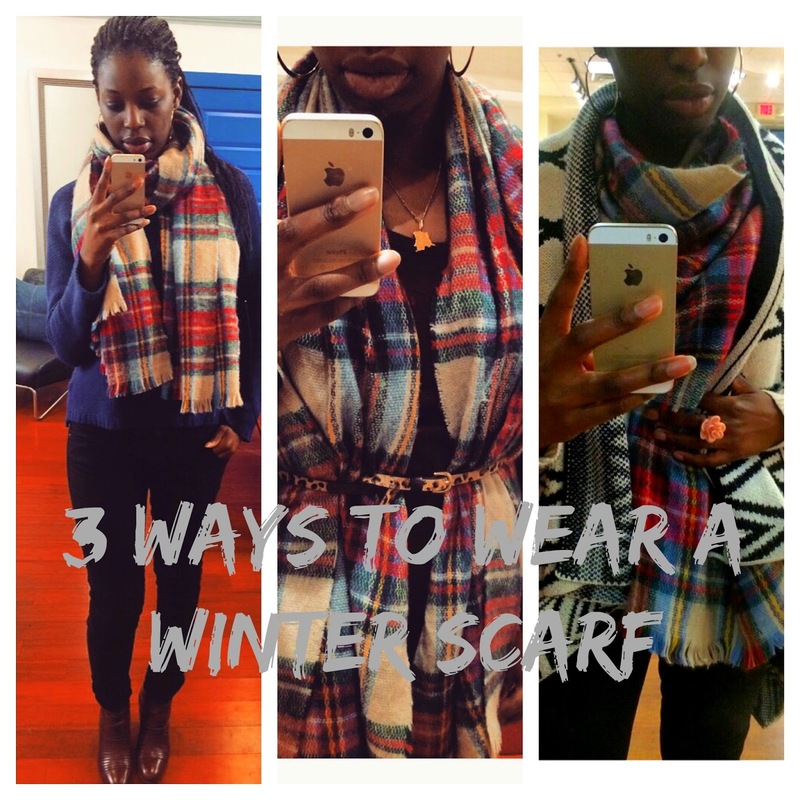 Wearing your winter scarf belted is a great and creative way to layer your outfit! Get all the tips on how to wear a belted scarf here. It definitely adds another stylish way to wear a scarf. I like wearing it over a sweater dress, knits or a long sleeve t-shirts. You can even wear it over a blazer or leather jacket for that extreme winter layering effect. When its really cold, practically frozen weather. I like to wear my scarf like a blanket covering my whole upper body and chest area. Wearing your scarf as a scarf can also act like a shirt and is great for texture and pattern mixing. This is the simplest and most common way everyone wears a scarf covering the neck and ears when yo really want to prevent the cold from hitting the neck! It also looks good with a fabulous winter coat as it peeks out. Check out my favorite Ways to Wear Scarf Video for more inspiration.